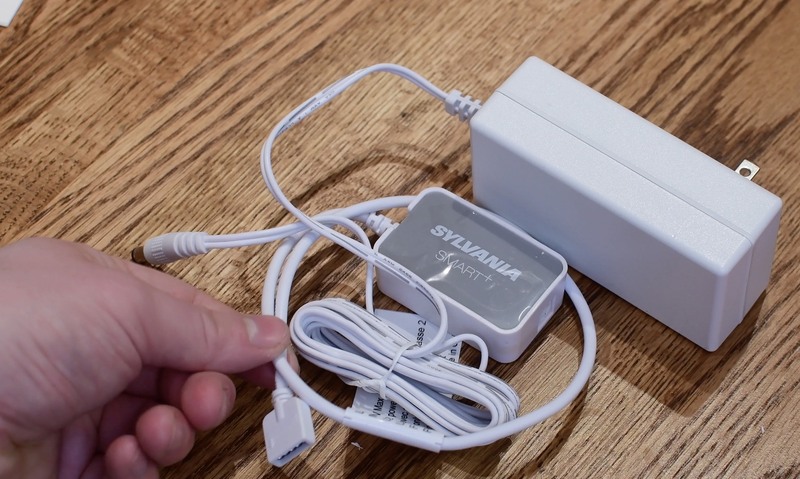 Sylvania has been on a roll expanding their HomeKit lineup with several different products. Recently, I took some time to test out their multi-color LED light strip, as well as their affordable white LED bulb. 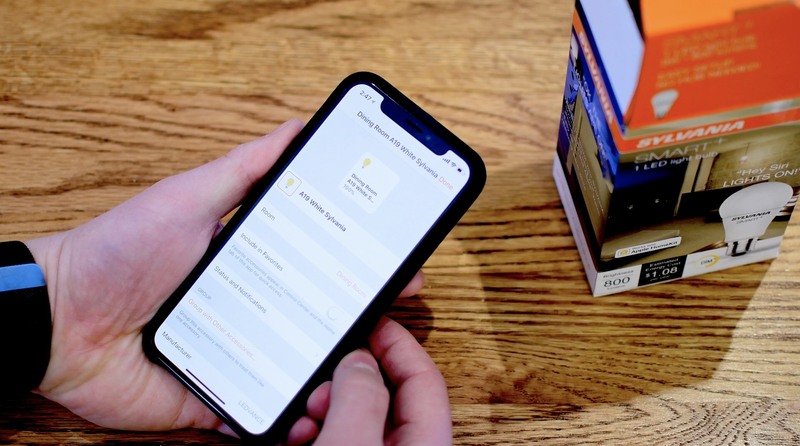 There has been a stigma in the market that because an accessory has HomeKit, it has to be expensive. That is no longer the case as we’ve seen many accessories buck that trend. 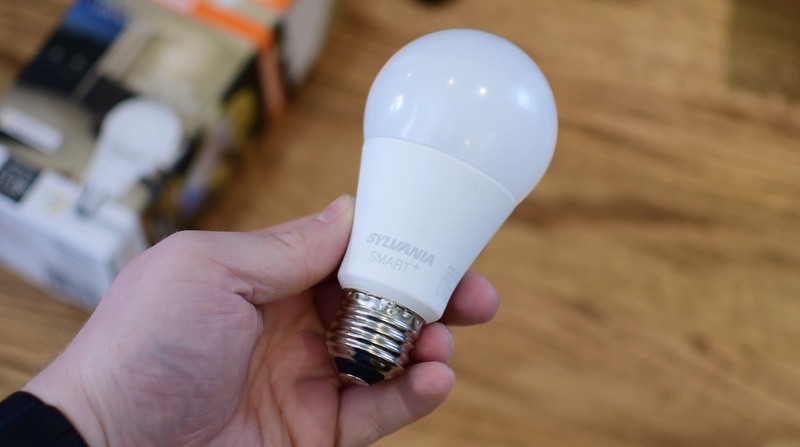 In fact, Sylvania’s Smart+ white bulb will only run you about 20 bucks. If you don’t care about the multi-color capabilities of their standard bulb, this is a great way to get into the smart home trend. Ordinary white bulbs aren’t all that exciting. However, their low price of entry is. I use these in places like my kitchen and bathrooms where I want HomeKit functionality, but don’t need anything fancy. All of Sylvania’s HomeKit-enabled lights communicate over Bluetooth, which means they require no hub like those from Philips. The bulb itself is well made, and has a solid brightness level of 800 lumens. 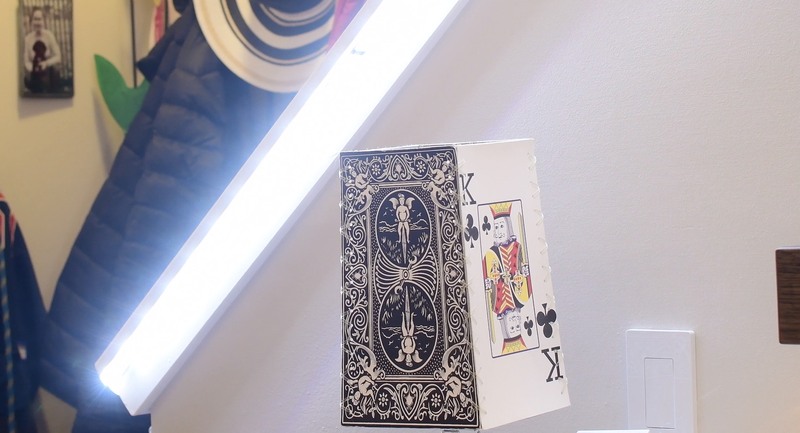 It has all the usability of other HomeKit bulbs including the ability to automate it, schedule it, control it via motion sensors, dim it, and more. The SYLVANIA SMART+ Bluetooth Soft White Dimmable A19 LED Bulb is available on Amazon for only $20.99. The LED light strip is a bit more expensive than the white bulb, but still falls under “affordable” compared to other light strips. 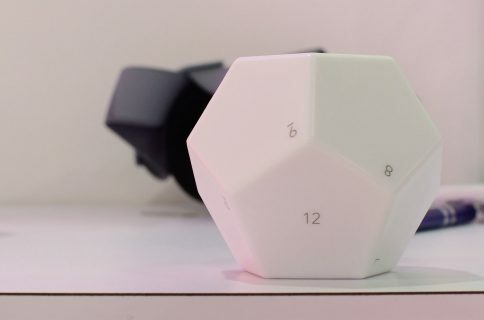 Others from Philips and LIFX can cost $85-90, while this is under $60. Compared the bulb we just looked at, it is capable of changing colors as well as different hues of white. They say you can choose between up to 16 million different colors. You can see a few of them in our hands-on video review. It comes as three different sections, that bring it to a total of 6ft in length. You don’t need to use all three sections if you have a shorter area to cover. It is also trimmable if you need a specific length. Of course, once you do, it cannot be undone. 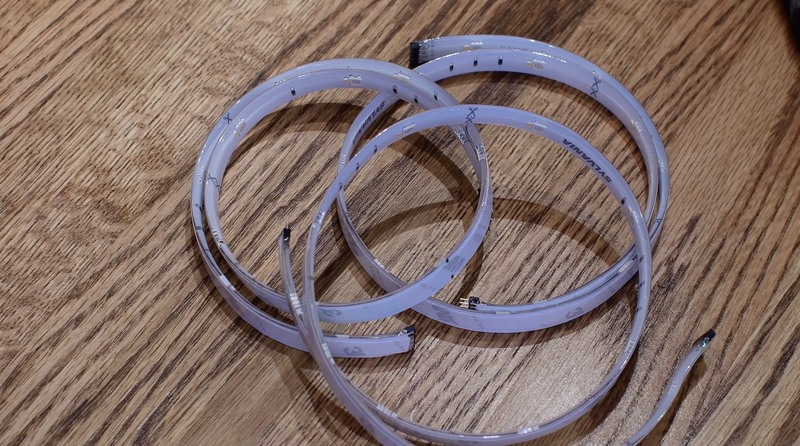 If you only use one or two of the included lengths, you can also use the surplus for a second light strip if you bought another starter kit. The strip is attached via 3M adhesive which is pre-installed along the back. Simply remove the cover, and place it where you’d like it. The downside is it makes it a bit harder to reattach if you ever need to. When I moved, I had to put new adhesive on to get it to stick again. The light has a rated lifespan of 25,000 hours, which if you ran it 24 hours a day, would last you nearly 3 years before burning out. That is pretty impressive, especially if you only use it a few hours a day. In my home, I’ve had a lot of fun with these types of light strips. I’ve put them down my stairs, under my kitchen cabinets, behind my desk, and in my bathroom. If you’d to pick one (or two) up, the SYLVANIA SMART+ Bluetooth Indoor Full Color Flex Strip is only $59.99 on Amazon. 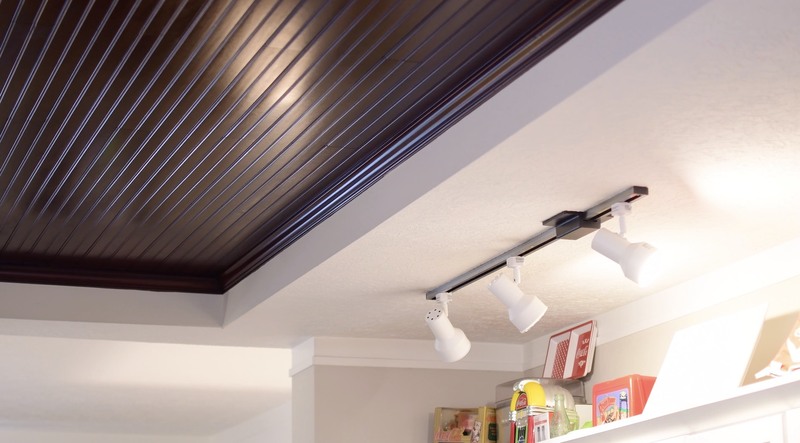 LEDVANCE has done a great job with their Sylvania Smart+ lineup of lights. They are affordable and reliable at the same time. Of course, there are some downsides. For instance, other LED light strips are a bit brighter than the Smart+. Bluetooth has its limitations as well. You have to be within range, or have some sort of Home Hub nearby to control remotely, or in large homes. Personally, in my smaller home, I have an Apple TV on each TV, and (soon) a HomePod in the kitchen which makes connectivity a non-issue. 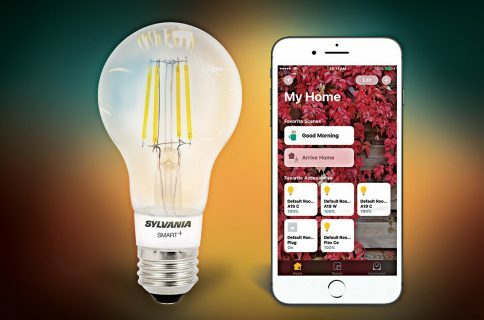 If you are looking to start your HomeKit home, or just want to grow it to other rooms, Sylvania’s lineup is a solid option. You can find their whole Smart+ HomeKit lineup over on Amazon including the soft white bulb, and the LED Light strip. Let me know what you think, and which HomeKit lights are your favorite, down in the comments.